For this I bought the Chromecast that is connected to the TV (or actually to the sound system that in turn is connected to the TV). 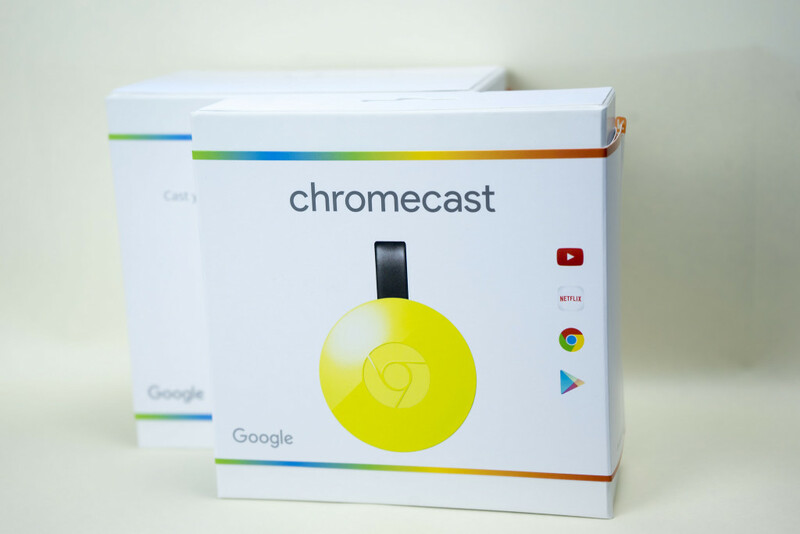 Then it’s easy to cast from any of the streaming apps that supports Google Cast. Since I live in an apartment which doesn’t fit a large or noisy NAS or other server, I ended up using the media server feature of my router (Asus RT-AC68U) and connected a USB powered 2.5″ HDD to it. I can access the disk via DLNA and SMB – I guess most modern routers have a similar feature. So for uploading or watching stuff from my computer I just access the files through \\192.168.1.1 in Windows as I would have with any other NAS. To play the video files on the TV I go through the phone using the Infuse app (only on iOS unfortunately). Infuse supports both Google Cast and AirPlay, so from there it’s just a matter of casting to Chromecast in the same way I do from Netflix or any other of the streaming apps. Of course I can just watch it directly on the phone if I would prefer that. This works surprisingly well and it was an easy transition for my wife who’s already gotten used to casting from the different apps on her phone. From a “non-technical spouse perspective” Infuse is just like Netflix, but for home videos. The only thing I needed to do was to create bookmarks in the Infuse app to the relevant folders, since the media server feature on the router shows a maze of empty non-removable folders that makes it quite hard to find what you are looking for. I have now also added Videostream for Chromecast to this mix for playing video files that Infuse doesn’t support. I especially like how Videostream registers in the operating system so that you can search for “video” to find it (using  or ⌘ + space) (as opposed to starting Chrome and look for the extension).